When we set out to design the modern rocking chair we followed a series of directives: it must be extremely comfortable with no upholstery. 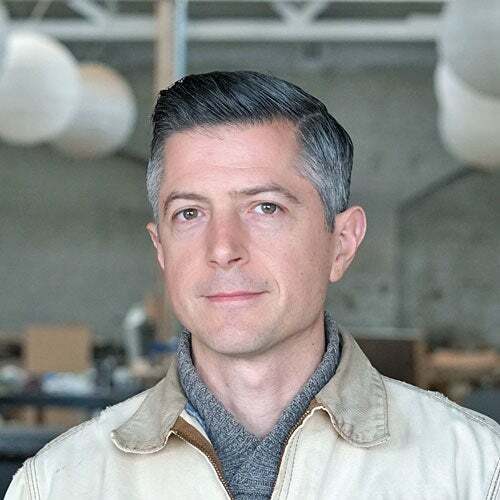 It must have a high enough back to allow a tall person to rest their head, it must have a sense of visual delicacy but be strong enough to endure generations of use, and it must be a simple, modern, and original design that departs from the traditional rocking chair form. And, from the feedback we’ve received from the hundreds who’ve sat in this chair, we're proud to have hit the mark. 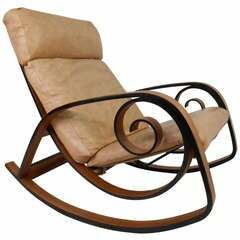 A rocking chair is such a dynamic and vital piece for the home. A baby soothed by its motion can find themselves decades later rocking their own children and then grandchildren in the same chair. We're gratified to offer pieces that have a place in the most intimate moments of our lives. Frame available in natural maple or bleached maple. Seat slats available in walnut, cherry, Claro walnut, white oak, ebonized oak. Screws available in brass, Stainless steel, or blackened patina on brass. 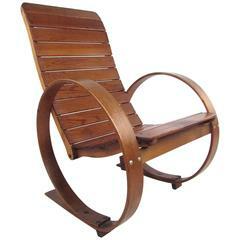 A very hard to find and cleverly designed rocking chair. 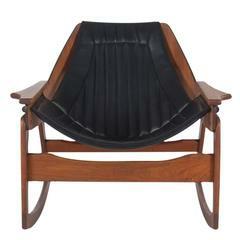 It features a sculpted walnut frame with black Naugahyde sling upholstery. In the style of: Adrian Pearsall, Plycraft. 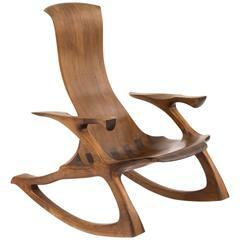 Solid walnut studio crafted rocking chair. This example has sculpted arms and frame with inset dove tailing and subtly curved back. Looks incredible from every angle. 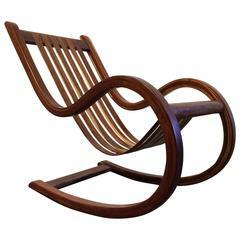 Studio crafted rocking chair rocker, Mexico. Great design and craftsmanship.